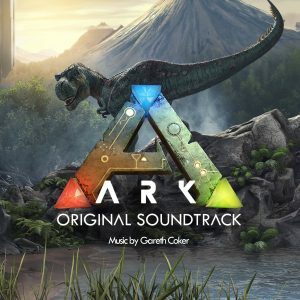 Last year, Gareth Coker completed and released his score to ARK: Survival Evolved. The game, an action-survival adventure about living on an island inhabited with dinosaurs was, needless to say, different from the settings we’ve heard from Coker in the past. His music from Ori and the Blind Forest, Minecraft, or The Unspoken are generally free of heavy-hitting battle themes. It’s fair to say most of his fans were curious to see what he would come up with when faced with a gritty survival game where each dinosaur fight is bigger and meaner than the last. Coker also had access to the Philharmonia Orchestra and the Abbey Road Studios in London. How did ARK: Survival Evolved turn out? Coker’s strength lies in his melodies, and he delivers with the first track “Main Theme”, setting the tone for ARK right from the start. It’s a great theme; it’s memorable, and simple enough to be easily woven into the score (which it is). In this sense, it was difficult not to think about Ori when listening to ARK. The memorability of Ori, and the striking theme that first greets the listener upon listening to ARK, sent a positive message. “Main Theme” told me that Ori was not a one-off success; Coker is good at creating themes, and he’s not done yet. That being said, this will be the last time Ori is mentioned in this review. 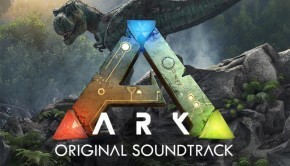 I have no interest in letting a single work define a composer’s career, ARK is a wholly unique soundtrack, and the point is that those looking for strong thematic content will find it here. 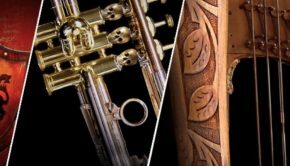 The first part of the album contains several variations of the main theme; “Southern Islets” brings in a bunch of wooden percussion for a jungle vibe, and includes some rhythmic variation. Halfway through the piece, the melody discards the majestic brass approach in favor of some light-hearted pitched percussion. 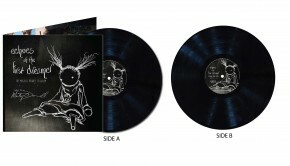 In contrast, “Origin of Combat” lowers the octave and darkens the mood, while “Not So Plain and Simple” adds some metallic sounds and dissonance to increase the tension. “In Deep Water”, a track I especially enjoyed, uses faint traces of the main theme in a metallic mix of instruments, including a range of bells that bring spots of color to the track. While ARK certainly skews towards the heavy and dramatic, it has its (modest) offering of gentler tracks. “Shores and Stars” is an incredibly fun track with acoustic guitar accompanied by a playful string section. Their energy is so infectious that when the main theme returns over halfway into the piece, playing ominously underneath the guitar and strings, it’s unable to to quell the upbeat mood. This was one of the most enjoyable tracks for me – its approach and instrumentation was in such direct contract with the rest of the album, even though its integration of the main theme allowed it to fit in perfectly on the score. Similarly, “Creation” starts off with a few sinister sounds and bass notes, but soon swells into a hopeful piano-and-violin rendition of the main theme, albeit with a few varied notes. “Ascent” opens with a descending choral motif, and immediately shifts into a rich cello section for the majority of the piece before ending with a triumphant fanfare. Of course, the vast majority of the album consists of high-intensity battle themes. This is where the album as a whole falters. The softer tracks stand out because they bring such a contrast to the heavier ones. These heavier tracks aren’t bad; on the contrary, most of them are thrilling when heard individually. However, put them all together on a single album, combined with the fact that for the most part they share a single theme, and they become more difficult to listen to as a whole. There are a lot of strong tracks on here. “Megapithecus” opens with a few brass bellows that emulate a dinosaur’s roar, “The Dragon” brings a catchy rhythm and some great chromatic motifs to the table, and “Enter at One’s Peril” has a creepy string section that reminds me of Howard Shore’s theme for Shelob’s Lair in The Lord of the Rings. Two battle themes in particular are worth pointing out. The first is “Broodmother”, which takes elements from the “ARK Battle March” earlier on in the score and turns it up to eleven. It’s a fast-paced and driving track infused with march elements, and is long enough to include a healthy amount of development of the main theme. Without having played the game, I would have wondered if it were a final boss theme – except for the other battle track I wanted to point out: “The Overseer”, which is essentially what I would have expected and hoped for in an ARK final battle theme after listening to the rest of the album. Coker pulls out all the stops for this track; every section of the choral symphony is included in this wild piece, and familiar chord progressions are rife with variations and non-chord tones. Sections of the piece are unexpectedly bright and hopeful, and it closes with an extravagantly drawn-out set of chords. The last track on the score, “End Credits”, is my favorite track on the album. Granted, I have a weakness for good end credit themes. As someone who frequently complains when tracks are too short on soundtracks, I love hearing a well-arranged suite of music from a game or film. But, this is a good one. After a brief percussive opening, Coker builds the track with an unassuming but exciting string pattern (including some notes lifted from “Writhing Swamps”), with various additional instruments slowly building the music until the main theme finally enters. The dynamic of the piece fluctuates as it progresses, alternating between softer moments filled with energy and tension, and thunderous iterations of the main theme. The piece ends with a fittingly dramatic choral finale. ARK is a good album. I get the impression that Gareth Coker had been ready to do a soundtrack like this for a while. The themes on the album are inspired, and Coker does not hold back with his use of the Philharmonia Orchestra; the album oozes with high production quality. 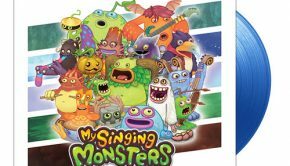 It’s to be expected that tracks on a battle-theme-heavy album will blend together to some extent (the Monster Hunter soundtracks came to mind while reviewing this album; while excellent, they share the same weakness), and ARK falls into this trap. That being said, there are some truly quality tracks on this album, and the care and energy packed into it make for a dynamic score. Posted on April 17, 2018 by Emily McMillan. Last modified on April 17, 2018.